What Are Yeti Coolers Made Of And How Are They So Tough? One thing I love about my Yeti cooler is that I never have to worry about it breaking, it’s just built so well. It got me thinking, what are Yeti coolers actually made from and why are they so strong? Yeti coolers are made from an outer shell of polyethylene plastic which is roto-moulded. The exterior plastic is much thicker than an traditional cooler adding to it’s strength. The interior is then injected with polyurethane foam which sets hard, further adding to the strength of the cooler and giving it amazing insulating properties. What Plastic Are Yeti Coolers Made From? The exterior of Yeti coolers are made from roto-moulding a plastic called polyethylene. Believe it or not but polyethylene is actually the most common plastic in the entire world. They are used to make everything from plastic bags, to some bottles to even bullet proof vests. It’s a thermoplastic which means it becomes easily moldable above a specific temperature and then becomes solid when it is cooled. 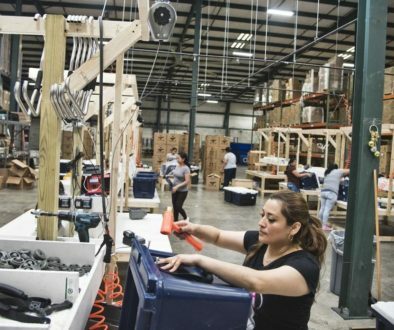 Yeti coolers are made using a process called roto-molding. The plastic is softened and then rotated inside a mold causing the plastic to disperse and stick to the sides of the mold. This gives the Yeti it’s thick tough exterior. Other tough plastic products that are made using a similar process are kayaks, which we all know can take a serious beating. What Insulation Do Yeti Coolers Use? The polyethylene shell of the Yeti is just that, it’s an empty shell. The cooler then needs to be filled with an insulating material to keep the cold in and keep the heat out. After the roto-moulding process Yeti coolers are injected with polyurethane. Once injected the polyurethan forms a rigid insulation panel, further adding to the strength of the Yeti. The polyurethane foam allows the Yeti to keep ice longer through a process called thermal conduction. 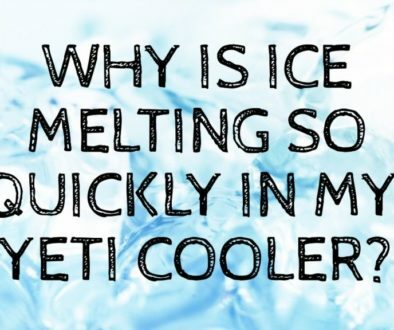 This is also why it is recommended that you pre-chill your Yeti cooler if it has been left in a warm place like a hot car or garage. What Are Yeti Latches Made From? Yeti latches are made from a durable rubber that is designed to last as long as your cooler does. You can however get replacement latches for not a lot of money if they do wear out or get sun damaged. What Makes Yeti Different To Regular Coolers? 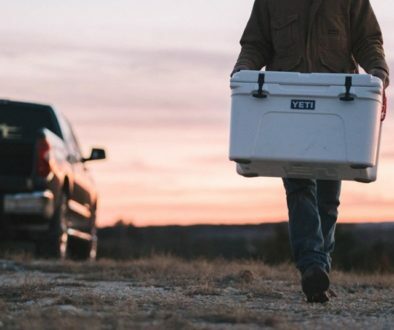 Yeti coolers are made completely different to traditional coolers you might pick up at Wallmart or your local hardware store. The exterior of these basic coolers are made from HDPE (High Density Polyethylene), however the plastic is much much thinner than a Yeti cooler. The interior of these coolers uses a modified polypropylene copolymer which may deform with boiling water. The Yeti coolers can handle much higher heats than traditional coolers without deforming. What Does It Take To Break A Yeti Cooler? Yeti coolers are made to be incredibly durable. They can be driven over, thrown from moving vehicles and even attacked by bears and still not break. With a cheaper cooler simply sitting or standing on the cooler lid can be enough to break it. This isn’t so with the Yeti cooler. Yeti coolers however are not bulletproof. Recently there was an issue between Yeti and the NRA where Yeti ceased offering the NRA discount coolers. Some frustrated supporters of the NRA took action by making videos shooting their Yeti coolers. So yeh, Yeti coolers can be broken but it takes a lot to break them because they are made so well. Who Is Yeti’s Biggest Competitor? Yeti BackFlip 24 Honest Review: Is It Worth The Money? Lifetime Cooler vs YETI: How Is This Cooler Under $100?! OtterBox Coolers vs Yeti: Can This Phone Case Maker Compete With The Best? - The Cooler Box on Are Yeti Coolers Made In USA? OtterBox Coolers vs Yeti: - The Cooler Box on Are Yeti Coolers Bulletproof?